I like millet. This looks very good with chestnuts. very nice and healthy.....i like the tadka at the end......hope it cools down soon. Very healthy alternative to the regular pongal, looks very tasty too..
WOW Priya, I tried your quinoa pongal, it was very nice, Will try this too. 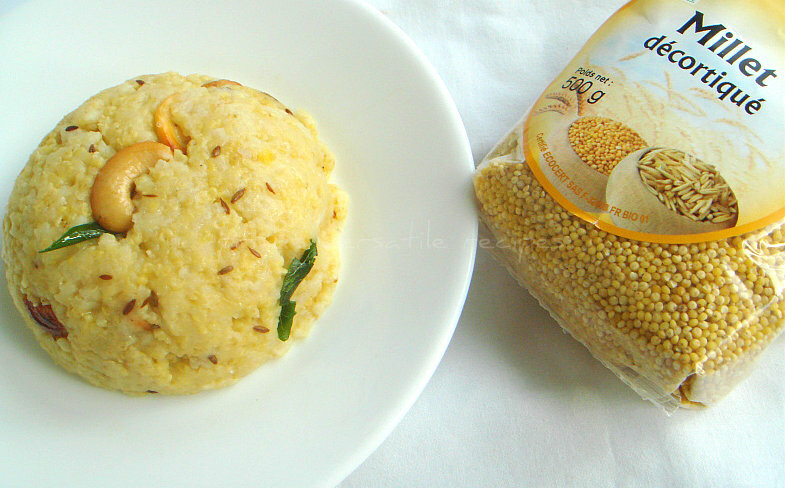 This is my 'non-rice' alternative for pongal, make it all the time. Delicious and healthy Pongal Priya. Healthy and delicious pongal priya! What a lovely breakfast! Healthy and satisfying. Thank you for contributing it to Cooking with seeds.